The former bandmates (plus Kimberley's blossoming baby bump) head out in London for a night on the tiles. 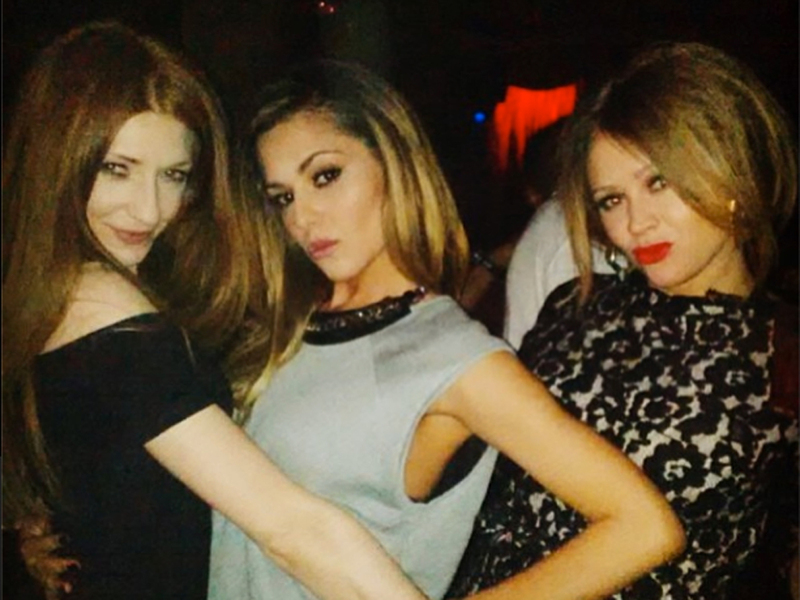 Cheryl Cole, Nicola Roberts and Kimberley Walsh may not be singing by each other’s sides anymore but the three close friends have ensured their bond is still as strong as ever. Hitting the town for a glamorous night out over the weekend, the former Girls Aloud bandmates cosied up for photos and danced the night away as they enjoyed an evening out together at London hotspot The Box for a friend’s birthday. Posting snapshots of their girly reunion on Instagram, the X Factor judge shared a gorgeous photo of the BFFs pouting and smiling during their night on the tiles. “3 woman and a baby,” joked Cheryl next to the photo of herself sandwiched between her super-sleek celeb friends. All donning glossy ‘dos, the three singers worked their different styles on Saturday night with Cheryl in a flirty leather skirt and biker tee, Nicola in a fitted LBD and a pregnant Kimberley rocking red lips and a lacy frock. The singer turned musical theatre star revealed she was pregnant earlier this year and told fans close friend Cheryl burst into tears when she told her the news. Love Cheryl’s cool Saturday night look? See more of her best fashion moments here.